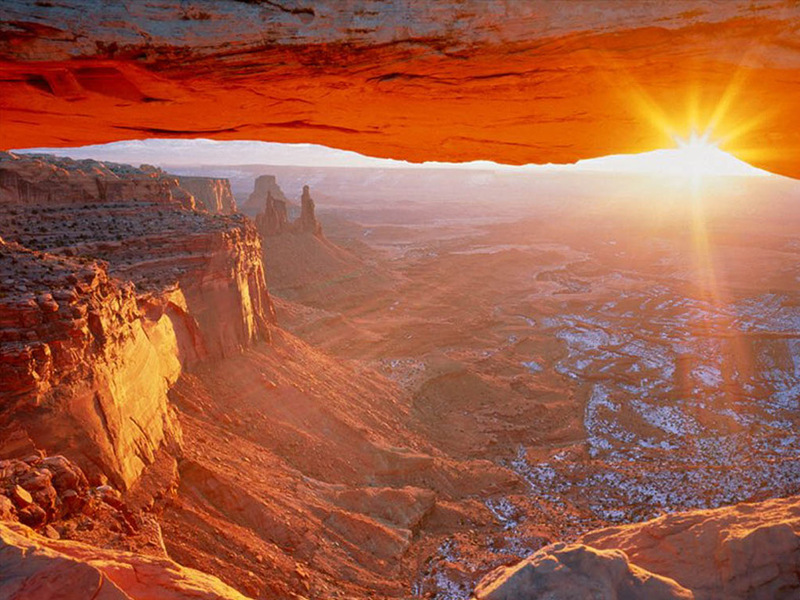 Is there any better way to experience sunrise than seeing it in the lap of nature? Imagine sitting beside your loved one on a mountain top or a beach or even your backyard garden, the perfect conditions for a wonderful time spent together. 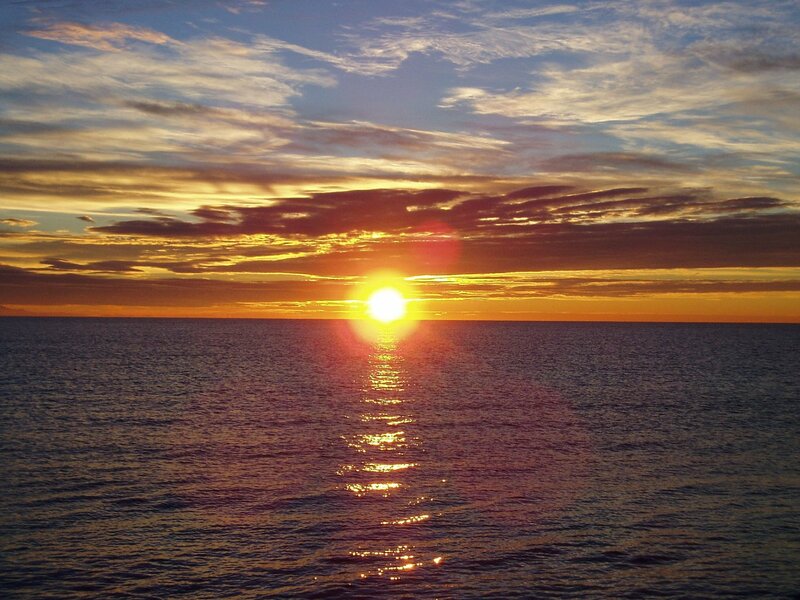 Since time immemorial the beauty of the sunrise has captivated minds and turned men into poets and artists. Let us take a look at some of best gifts of nature. 1. Nagarkot in Nepal – It offers an overwhelming view of the Langton range but is most famous for its sunrise view from the Himalayas including the tallest Mount Everest and other snow-covered peaks of the Himalayan range of eastern Nepal. The sight of this picturesque Kathmandu Valley is also obtained from the serene lap of Nagarkot. You can cycle up to the mountain top from the valley before dawn. With every turn of the lane, the city below looks more like a fairy tale with tiny yellow lights shining below. 2. 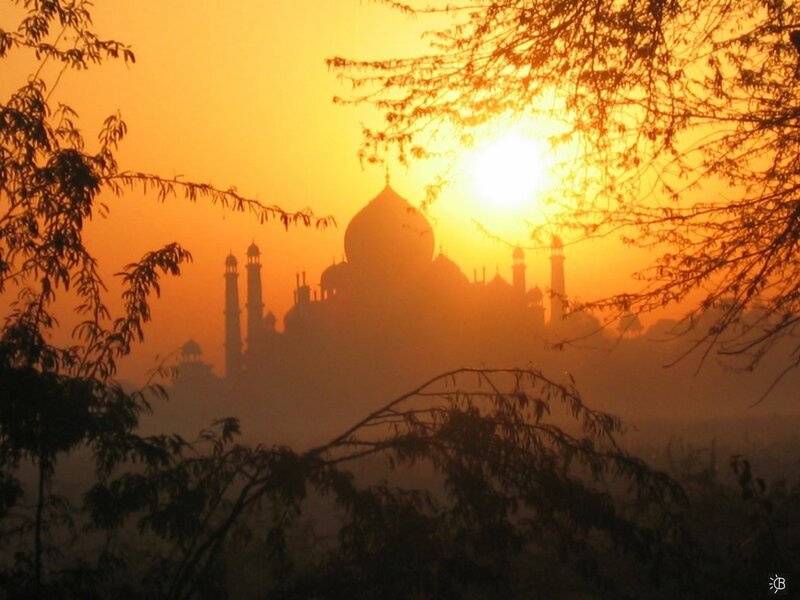 Taj Mahal in India – One of the eighth wonders in the world, the majestic Taj Mahal was built by Shah Jahan for his lovely wife Mumtaz Mahal and stands today as the epitome of romance. The rays of the sun falling on the splendid Mahal of marble causes a sparkling effect. Take a walk by the river Ganga and catch a glimpse of the beautiful sunrise having the Taj as the backdrop. The view is amazing. 3. 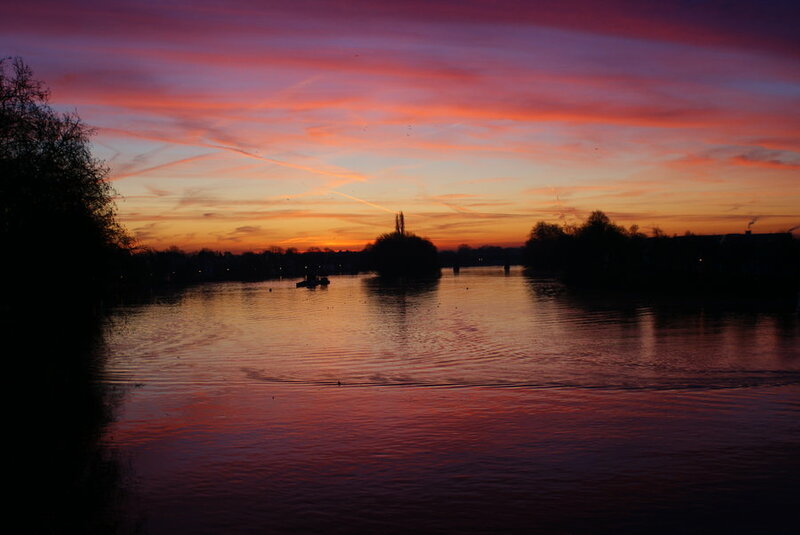 River Thames in London – If you are visiting London, then take a walk by the river Thames in the wee hours of the morning and lose yourself in the majesty of the sunrise. There are various pleasure boats available depending on your budget. Choose accordingly and enjoy the sunrise while partying with your friends and family. If you want, you can walk up to the Waterloo Bridge and enjoy the sunrise against the city skyline as the background. 4. 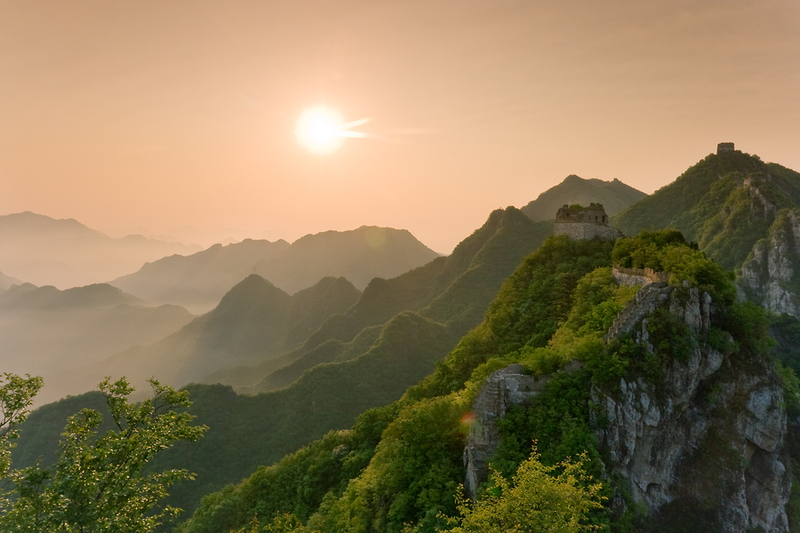 The Great Wall of China – Running like an unrelenting serpentine, the Great Wall of China is another place in the world which offers an amazing view of a perfect sunrise. Then why not settle for the best? Arrange your backpack and get ready for a tour to China. If you like an early morning workout, then climbing up the stairs of the Wall will be a great exercise. For others, there are cable cars, ski-lifts and tobaggons. 5. 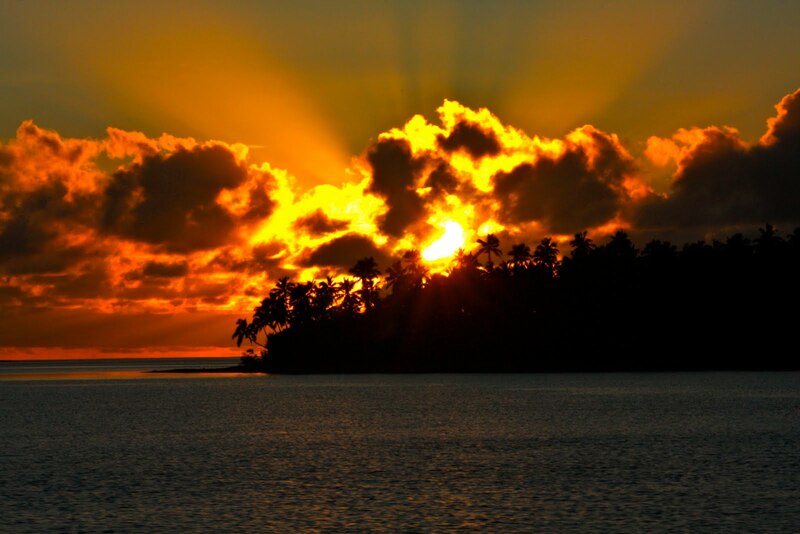 Tonga Islands in South Pacific Ocean – While the rest of the world sleeps; it is the Tonga Islands which are blessed with the first rays of the sun. Imagine yourself amidst the deep blue Pacific waters, far away from the city crowd, kissing your sweet heart along with the first sun rays kissing the island. It is a moment to be treasured forever. 6. The pyramids of Egypt – If you have visited Egypt, then you cannot have missed the pyramids! The magnificent structures will absolutely stun you and leave you spellbound. 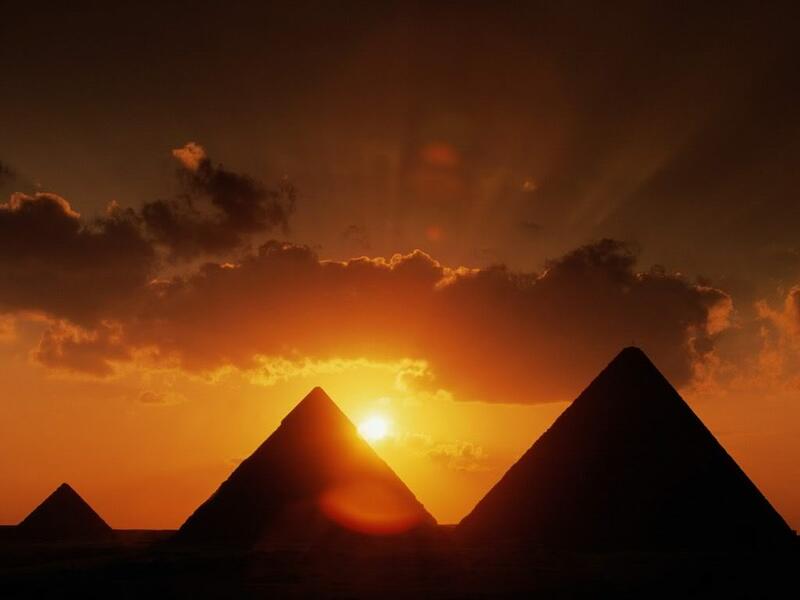 With the stupendous rays of the sun falling on the pyramid, you will probably leave with a different perception of the historic era in which these were built. You can ride on the “Ship of the Desert” and enjoy the sky decorated with beautiful hues of pink, violet and orange. 7. Grand Canyon in USA – It is one of the natural wonders of the world and that often leaves us with a question if this is an alien landscape altogether? Time will cease here as you view the rays of the sun finding its way through the Canyon valleys taking you to a dreamland. 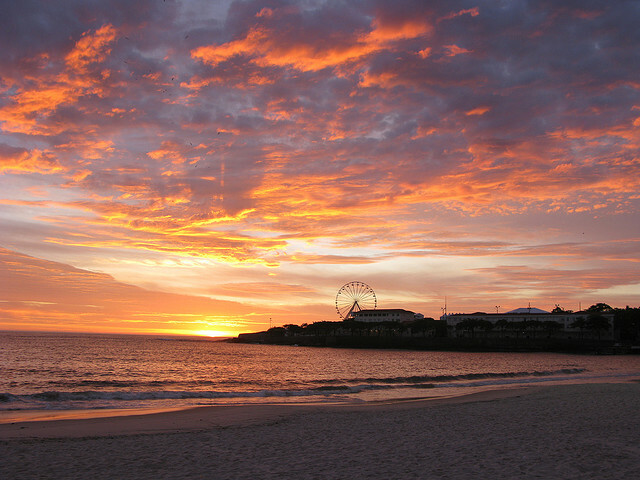 If you are lucky enough, you will be able to view a stormy sunrise which is even more astonishing. 8. Rio de Janeiro in Brazil – A city full of life, Rio is one place to visit with your friends and have a good time. The city lies in the lap of mountains on one side and the beautiful waters crashing against the sandy beach on the other. 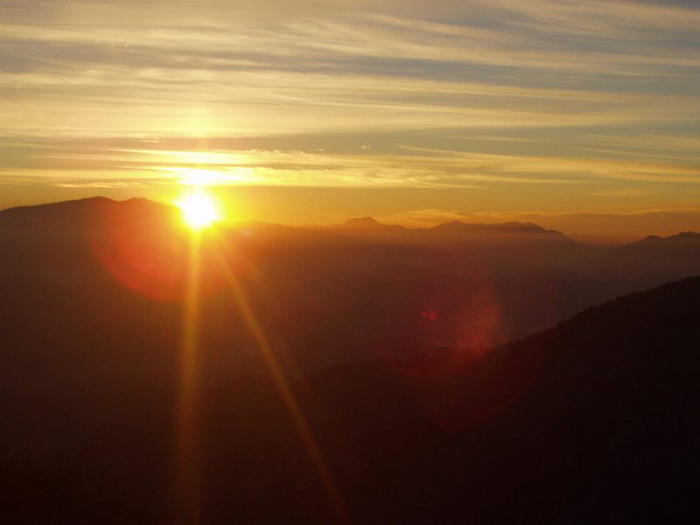 Sunrise at Rio is a heavenly experience which can be devoured from the mountain tops as well as from the beach. It might get pretty cold out there at times; however one rarely wants to miss such an experience! 9. 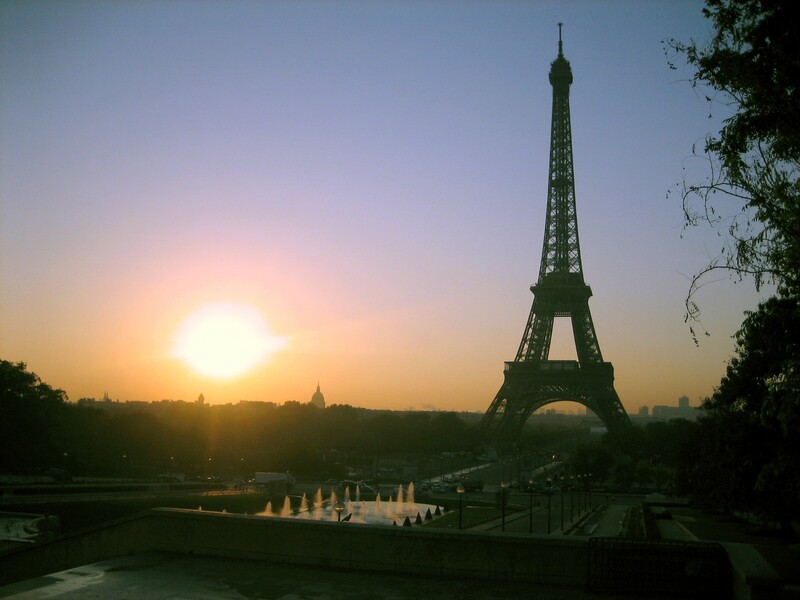 Eiffel Tower in France – Located in the city of Paris, the Eiffel Tower is a favorite destination for most tourists. It is considered as one of the most romantic cities of the world. You have to arrive early and take your position at one of the hilly viewpoints. As you sip on a cup of hot coffee, enjoy the magnificent sky as it wears a different shade of color with every passing moment. 10. Central Park in New York – You need no introduction to this if you have been a resident of New York! 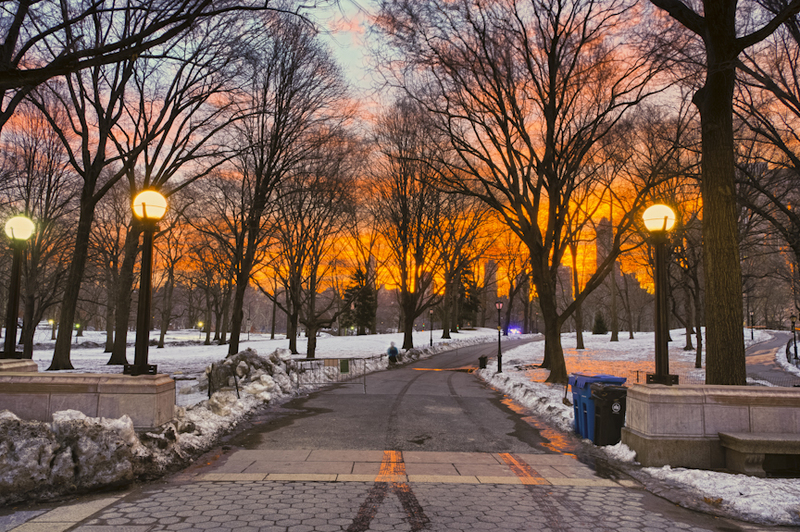 With the Manhattan skyline as the backdrop, you will get to enjoy stunning views of the rising sun as you jog or take a walk through the Central Park early in the morning. 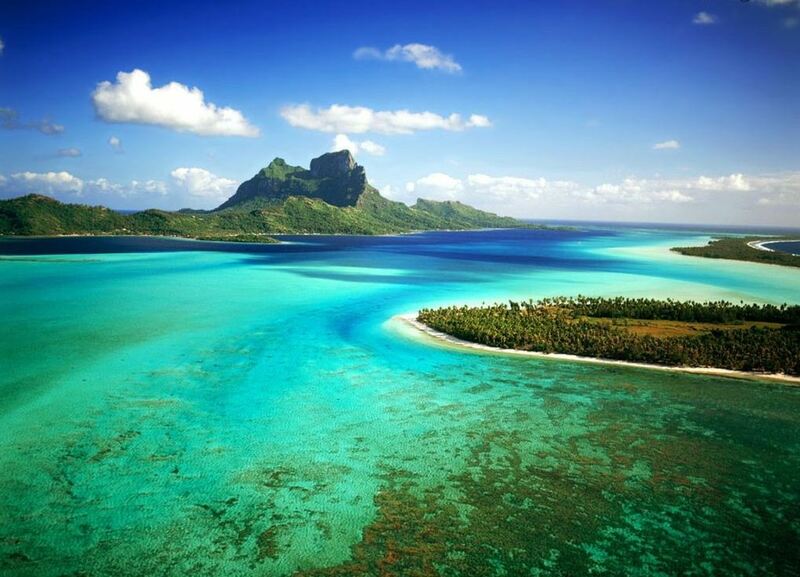 So by now you must have already decided to include one of the above destinations as your next holiday visit. Well, that’s indeed a great idea, however you will probably realize that in your daily hectic life, when you cannot head off straight to these wonderful places, the best you could do is wait for the rays of the sun to peep in through your window and wish you a happy morning. 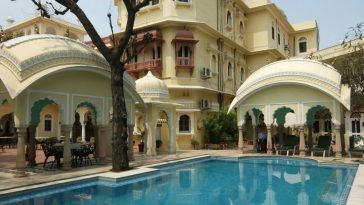 About the Blogger – Uttoran Sen is a travel writer and a blogger since 2001, he likes to travel various places throughout the world and write them down on his travel blog. For more senior travel tips and senior travel destinations, please visit travel tamed. Great Beauty of Nepal! ” No. 1 in the list, @happy to read all . Thank you.